Here is some clarification based on all the previous reviews. Looking at the box set which is pictured, while it may say Paramount/CBS this is actually the Imagine Entertainment set, not some new set by Paramount/CBS. It includes all the extras on that set. 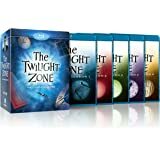 The extras are on the last set of each season's disc. Also, the fact that it start off credits say Imagine Entertainment might be a real teller. 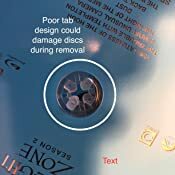 Despite what others have stated, the discs are not that difficult to remove. If you hold down the center spool and press the disc can easily be removed. Clearly with 24 discs you want some security to ensure the discs do not move. All the episodes do have sub-titles, none of the extras have sub-titles. Needless to say, the blu ray discs are crisp and clean and the remastered sound is crisp and clear...has less hiss than the original audio source, but it is nice to have the option. All episodes, including the fourth season one hour episodes are included, which is great because they are so rarely shown. Please be aware that Amazon changes the price on this set daily. I ordered it on December 31, 2016 for $149 and the next day January 1, 2017 it was $71. I cancelled the one and reordered. You should pay no more than $75 for this set in blu ray. I felt I needed to clarify what other's have said about this set, especially being a new set by Paramount as indicated--it is not. 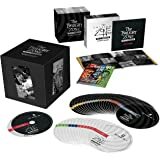 It is the Imagine Entertainment set with a Paramount box...so, if you own the Imagine Entertainment set, no need to purchase this as nothing is new. Great to have these blu rays back in print at a much more affordable price (which is currently fluctuating like mad, but I picked these up for less than $75 and as I write it's at $127). WONDERFUL transfers so far (read other reviews for Twilight Zone, the Complete Collection which this edition seems to replicate). There ARE subtitles (English only, however) and this is collection is rich with supplements. The case is basically a big single clear plastic clamshell 6 double sided "pages" stacking two disks per "page." Heirloom edition this ain't (and the disks don't always come out as easily as you might like...or too perhaps too easily in some cases) but I'm just grateful to have these. Great picture, but after purchasing some 1200 DVDs and blu-rays, I have never owned one that required tools to get the discs out of the case without breaking them. 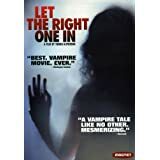 There is a special room in hell reserved for the idiots at Paramount Home Video who approved this thing. 4.0 out of 5 starsOne of the best shows ever! I'm very happy with this collection. The original releases by Image were too expensive for my pocket, so this re-release was like a gift from Heaven. The quality of these discs is outstanding. The image is so clear that you can see a lot of details in the background and faces, and the black & white photography is usually beautiful. The sound is also very good and clear; dialogues are easy to follow and the music has a very good volume as well, without drowning the dialogues or too loud. Extras are abundant, you can spend weeks and weeks with the extras if you'd like. 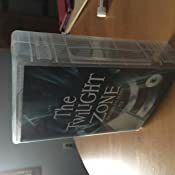 As for the show, well, the original Twilight Zone is without a question one of the best shows of all-time, and while they are some weaker episodes here and there (mainly some comedy episodes), the anthology format allows the show to remain fresh. The cast is usually spot-on. Thoruoughly enyoyable show. There is one "but", however. BUT the packaging leaves a lot to desire. It's really tough to take out most of these discs. I'm afraid I might break them. It's like trying to take drug away from a junkie. You need yoga patience to take these discs out; I'm really considering moving them to sleeves or other alternative options. Other than that, this is pretty much a dream come true. I just finished watching the first of the 24 disks, with 7 episodes. The image quality was absolutely fantastic. 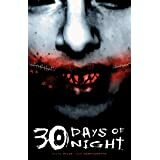 In fact, it was even a little distracting when the actors had crooked teeth! Of course the image quality and detail on this disc are far more than the original TV audience would have been able to see on their primitive 1950s TV sets. I hadn't known Rod Serling had crooked teeth before viewing this, but boy does he ever. 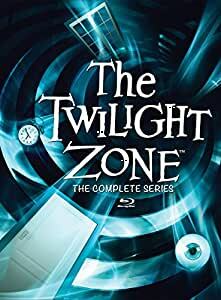 I used to watch Twilight Zone sometimes after school in the 1970s, but probably never saw more than a small percentage of the episodes, and most of those I saw I probably don't remember. More recently when I became interested in Buster Keaton, I bought the DVD with his episode, and it had a couple of other episodes too. But that's about it. It's been a real treat watching these. They're very interesting and well acted. Also, I had never seen the original opening sequence before; though spoken words and the logo are the same, the images are completely different, and interesting though obviously low budget. Though the box says that each disk has extras, I couldn't find any on that first disk, unless being able to choose the original, unimproved audio counts as an extra. But nevermind, I enjoyed it very much and I recommend it very highly. Oh -- I concur with those who say that the disks are ridiculously difficult to remove, and I have no doubt that they'll break if you try to pull them straight out. Proceed with caution. I'll probably end up cutting the little holders as someone here advised.